Time again for Ida Andia from Romania with her predictions who will make the Eurovision final from the 17 countries of semi final 1. The next country is Serbia. 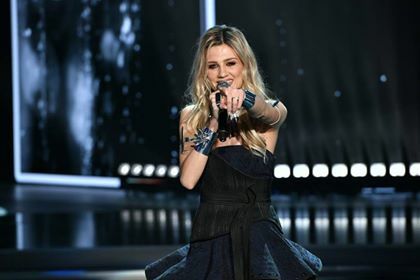 Nevena has an amazing voice and a huge experience at Eurovision (appearing in JESC, in ESC 2013 as part of Moje 3); but the song doesn’t have that power to make the Final. I appreciate that the song KRUNA is in Serbian language. Personally, I don’t think Serbia could qualify. But anything can happen once we see the performance at Eurovision.